Courtesy Bath & Shower Gel 30ml Tube. A timeless range, delicately fragranced, elegantly packaged. 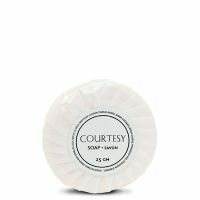 With its confident design and gentle formulation, Courtesy will leave a lasting impression on your guests.